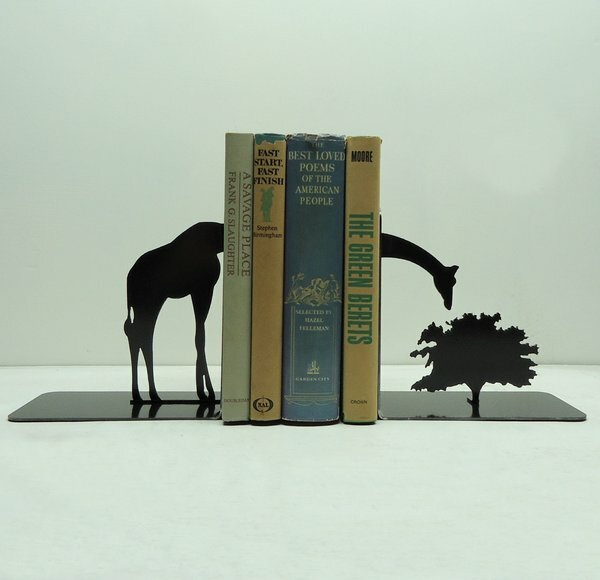 Etsy store, Knob Creek Metal Arts, is home to all sorts of handmade pieces, from wall signs to coat racks though it’s the range of fun, cheeky and whimsical bookends that caught my attention. There are all sorts of designs suitable for children from animals such as elephants and dinosaurs to fantasy creatures such as mermaids and knights fighting dragons. 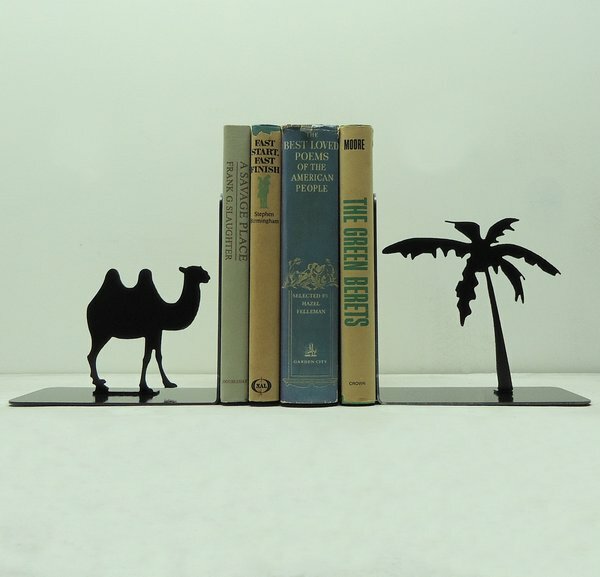 I particularly like the bookends that have something different at each end, such as the camel and the palm tree pair (shown below). 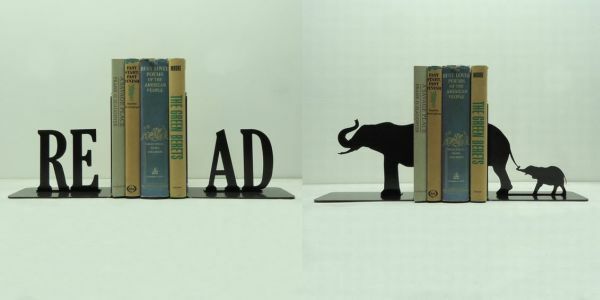 For older kids, the bookends that spell a word are neat although I won’t go as far as labelling my ten-year-old ‘Geek’ quite yet! Bookends are US$49.99 a pair and Knob Creek Metal Arts ship internationally.